O yeah, I am just putting it out there. Make this cake for your Valentine. Today or any day of the year. They will thank you. My husband’s second piece yesterday was all the thanks I needed. Chocolate cake. You saw a wonderful chocolate cake up on this blog yesterday. 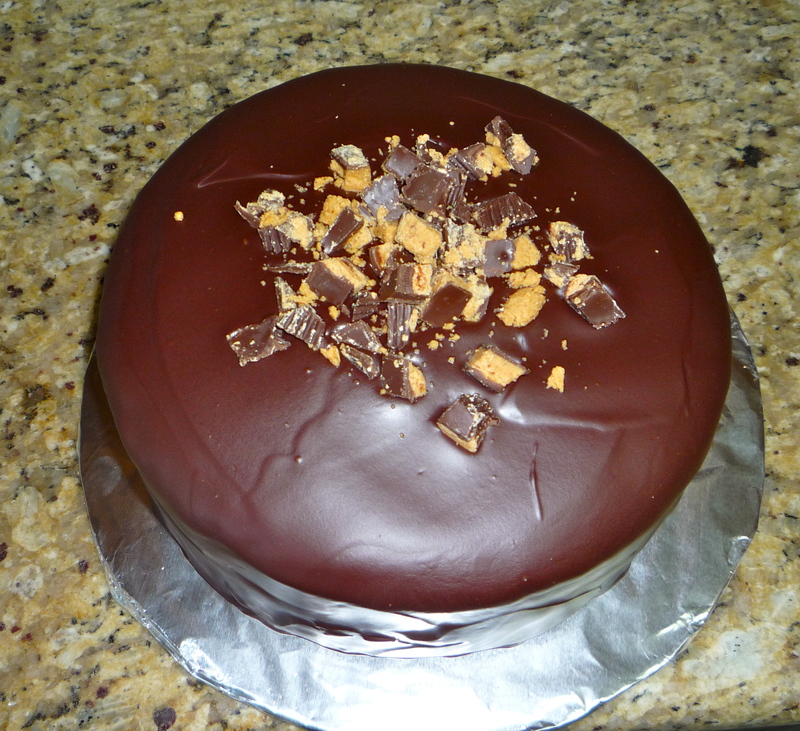 Here is a completely different one but with some of the same components and it makes for a completely different cake. There are a couple of things that, no matter what the recipe, must be in my chocolate cake. The only other cake that I ever dreamt about and just had to get up the next day and make it was this one. So I took my inspiration from there. I switched the chocolate whipped cream for vanilla. Since I was going to use less strawberries on the cake I made sure to cram a few extra into the filling. The chocolate ganache is just a bonus. My GeekyLink today is iGameMom. She writes reviews and recommendations for educational children’s apps. I love this site and have been following it for a long time and have found many an app through her. My 9 year old even won a science experiment kit from the site. Well, guess what? I am going to begin reviewing apps for her as a guest blogger! I think this is gonna be pretty cool. Posted in Baking, Cake, Chocolate, Cupcakes, Family, Food, Fruit and tagged Cake, chocolate, Chocolate Cake, chocolate ganache, Chocolate Whipped Cream Cake, ganache, Strawberries, Whipped Cream. Bookmark the permalink. Sooo, here we go! My first post is unfortunately an old recipe (which is what happens when you start a blog in the middle of the night and don’t plan a thing out) but it is one of my favorites. I got the idea from Chocolate Peanut Butter Cupcakes — Joy the Baker. My chocolate cake however, is from a box. What?! You say. How could you?! You say. Well, to be honest, so far I haven’t found THAT chocolate cake yet. I did find THAT vanilla cake just recently but that is another post. I used the Cake Mix Doctor :. I LOVE that chocolate cake. You have to use buttermilk (but if you don’t have any, there are always The Best Buttermilk Substitutions — Joy the Baker.) more cocoa powder and yes, vanilla. 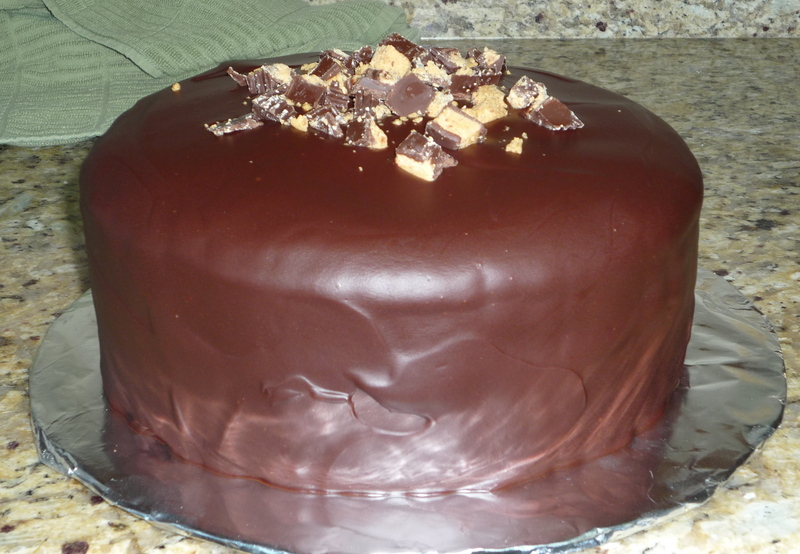 This cake always comes out perfect, round edges with a flat top, beautiful! For the filling I halved the peanut butter buttercream in Joy’s cupcake recipe, then I added a chocolate ganache frosting. Lastly, was a sprinkle of cut up peanut butter cups. Here is another shot of it. But wait, before we get there, here is where the nerdy comes in. I have decided that I am going to post what I am going to call a GeekyLink on every post. It was going to be a nice Hunger Games picture but I just got this Geek out / Globe.Faustus.2498.jpg (450×676) on Pinterest and I couldn’t resist. So yes, my first GeekyLink is inevitably a Dr. Who reference. It is Arthur Darville, AKA Rory Williams, AKA Rory Pond, AKA The Last Centurion. Amy is a lucky lady! Posted in Baking and tagged chocolate, Dr. Who, ganache, Nerd, peanut butter, Rory Williams. Bookmark the permalink.